In each São Paulo corner there is a different gastronomic taste. It is not by chance that a survey performed in the end of 2014 by the Center of Tourism and Events (center of studies and researches of São Paulo Turismo – SPTuris, municipal company of tourism and events) indicated that the food is one of the main tourist attraction of the city of São Paulo. There are 15 thousand restaurants and 20 thousand bars, in addition to bakeries and coffee shops spread all over the five regions of the city. Some of these establishments do justice to the fame that São Paulo is the capital that does not sleep, because they are opened 24/7. Is also in São Paulo that the tourist finds the best chef of the world – Helena Rizzo – and the seventh best restaurant of the world, D.O.M, of Alex Atalla. The awards were achieved in 2014 by appointment of the English magazine, The Restaurant. 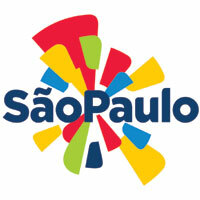 In addition to the different types of flavors, São Paulo´s food is well assessed by those who try it. According to the study performed by the Center, 75% of the tourists gave positive value to the food of the city, and they use approximately 20% of the travel´s budget with food. During the World Cup there were no doubts: São Paulo is different due to the gastronomic potential. The research of the center of studies of SPTuris indicated that approximately 27% of the Brazilian and foreign tourists think the food of the city its main differential, and 87.6% of them assessed São Paulo food as great or good. Not surprisingly that while the football World Championship was going on, the presence of foreigners in restaurants of the regions of Vila Madalena, Jardins, Bela Vista and Pinheiros increased approximately 80%. Up-to-date with the new trends, São Paulo also has been updated. By incorporating the street food fairs and food trucks in the options, it won a new public that looks for fast food, cheap and diversified. Among so much gastronomic places, tourists must visit when come to São Paulo the Mercado Municipal de São Paulo, the famous Mercadão, some of the best hamburgers of the capital and also one of the most sophisticated restaurants of São Paulo, such as Terraço Itália, should be on the list.